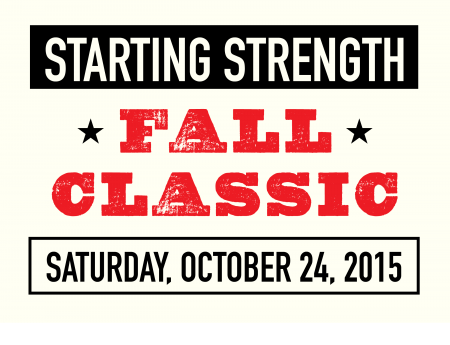 WFAC will be host to The Starting Strength Fall Classic Strengthlifting Meet. Information on the meet and signup link are below. Stop by the gym or email Nick with any questions. 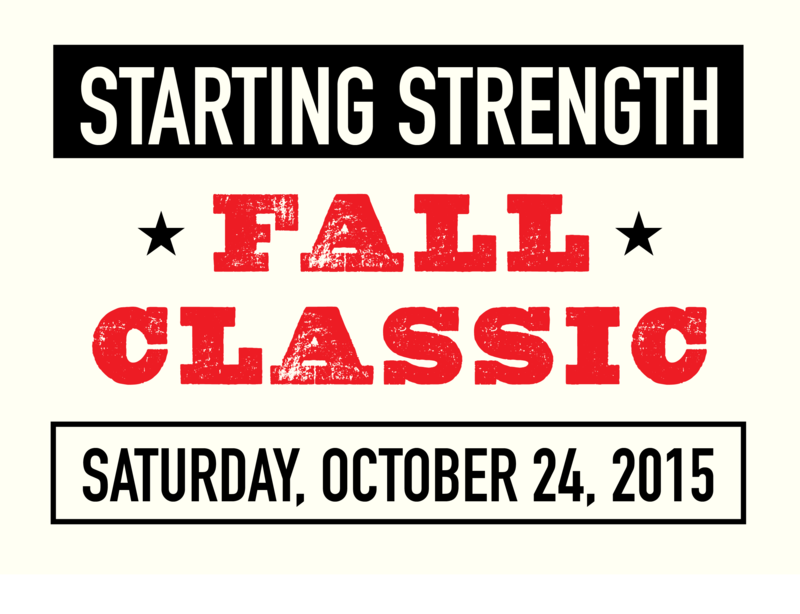 The contested lifts will be the squat, press, and deadlift. The best male and female lifter from the combined meet, calculated using the Wilks formula, will be awarded a free spot in a Starting Strength weekend seminar of their choice, a $900 value. Unlike last year’s combined meet, you can register as part of a team. To do so, please indicate your team in the Company/Organization field. We will also have a Masters (40+ years old) division. This entry was posted in WF News, WFAC News and tagged deadlift, press, rippetoe, squat, starting strength, strength training, wfac, wichita falls, wichita falls athletic club. Bookmark the permalink.